Is Our Federal Bureaucracy Out Of Control? R.J. Rushdoony: 00:01 Is our federal bureaucracy out of control? 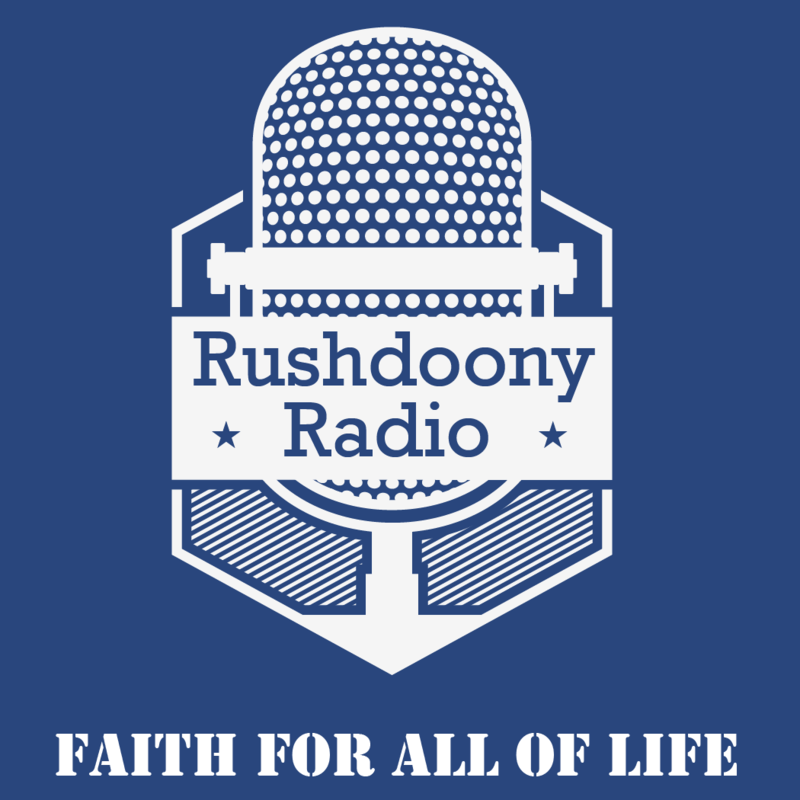 This is R.J. Rushdoony with a report on our threatened freedom. Recently U.S. News & World Report carried an article entitled, “Washington’s Red Tape Just Keeps Rolling Out.” The article called attention to several important facts. First, the federal government often loses our records, papers and tax returns. We are not forgiven any delay in filing papers and tax returns, but the federal government can delay indefinitely in providing us with data we need or our tax refund without any penalty whatsoever. This is a one-sided relationship which leads to arrogance and corruption. R.J. Rushdoony: 00:47 Second, federal regulations, tax forms and instructions are written in an unintelligible gobbledygook. We have in the US today 30 million illiterates and almost 30 million more who are functionally illiterate. If PhDs have trouble understanding many of the federal regulations, laws and instructions, how can the rest of the people understand them? R.J. Rushdoony: 01:17 Third, the paperwork is continually increased. I received a form from one department which asked for voluntary compliance with new penalties for failing to return it. As an agreeable man, I filled it out and returned it. As a result, I was sent a second and longer form with a letter telling me of the penalties for failing to comply. One way to get clobbered by Washington, it seems, is to be an agreeable and willing citizen. R.J. Rushdoony: 01:47 Fourth, we can add that much, if not most of this paperwork is useless. It does nothing except to spend the taxpayer’s money on useless projects. Useless information is not information but disinformation. It has a negative and a harmful role. As long as the bureaucracy is not trimmed, the people are. We pay the high price of misgovernment and overregulation. As a result, inefficiency and corruption are increasing because a federal bureaucracy is too big to control, except by some dramatic and ruthless cutting. R.J. Rushdoony: 02:31 At present, there is no such cutting or axing in sight. In fact, bureaucracy is our major growth industry. Every administration for decades has promised a cutback while increasing the power and scope of the bureaucracy. We are less and less governed by our elected officials and more and more by bureaucracies. We are increasingly getting a kind of government which cannot be called either a republic or a democracy, but only a bureaucratic oligarchy. As this new regime develops, freedom wanes.